Manager David Yearicks at the 2017 ILTA in Houston. Benko Products’ GREEN Access & Fall Protection team is just completing two weeks of trade shows. While on the road, the Benko Products’ GREEN Access & Fall Protection team is reminded of why we attend these trade shows. Our industry, like many others, is always evolving. During the last three years we've seen a boom in shale energy infrastructure construction. 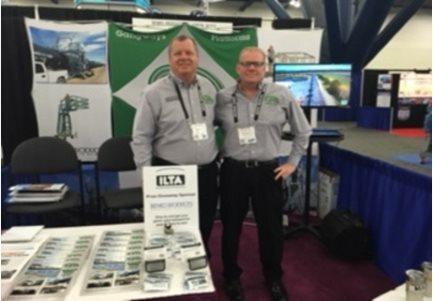 This year's ILTA (International Liquids Terminal Association) trade show and convention in Houston, in general, was focused on wider issues and ideas to improve terminal operation, and it was a welcome change. 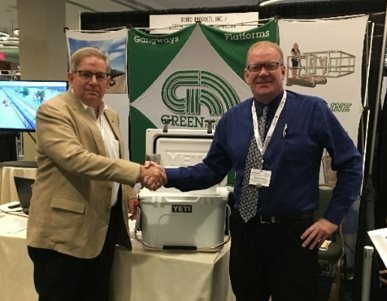 The trade show itself was busy and crowded, and this made for a great exchange between clients, suppliers, and strategic partners. One of the things we heard loud and clear from terminal operators is the need to provide safe access and fall protection, especially for workers on top of trucks and rail cars. While many of these terminals have solutions in place, management is keenly aware of the risk of potential incidents and they hope that they are doing enough to protect their employees and the environment. While incident rates are dropping, on those rare occasions when an accident does occur, the impact to the organization can be devastating. 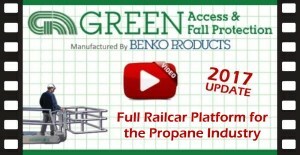 We at Benko Products showcased our GREEN Access & Fall Protection solutions at the ILTA in Houston with the release of our new company video featuring a full rail car platform for the propane industry. Following the ILTA, David Yearicks exhibited at the Downstream, Engineering, Construction, and Maintenance New Orleans. This show focused on the numerous issues surrounding the Gulf States and the huge petrochemical build-out planned over the next several years. As in previous years, the conference topics were focused on methods to overcome the increasing costs and skilled trades labor shortage. Benko Products is proud to be among the industry leaders with solutions to help them overcome these issues, including a modular concept designed to alleviate the need for skilled trades on the job site. 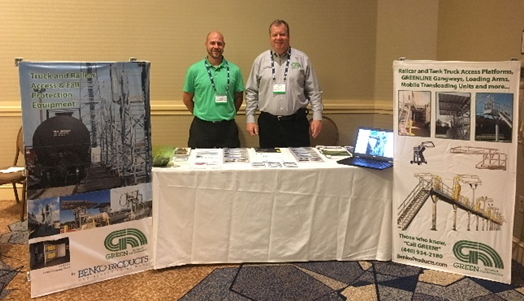 Following the week, Eric Luckett exhibited at the 2017 Northeast US Petrochemical Construction Show in Pittsburgh. This show’s focus is on the ever changing environment of the natural gas pockets in WV, OH, and PA. Currently, Shell is building a large facility in the area to handle the large amount of natural gas being produced by fracking in the area. In the future, you can expect to see up to three more facilities and several terminal sites open along the Ohio River. This is a feed stock that is expected to fuel the Plastics Industry that has declined in the area over the years. This change to the region's access to resources is also predicted to rival the gulf-coast for producing natural energy. Benko Products’ GREEN Access & Fall Protection exhibited to help these upcoming terminal operators with Safe Access & Fall Protection Solutions. If you are experiencing similar challenges and would like some help, contact the Benko Products’ GREEN Access & Fall Protection team for assistance. Even if there is not an immediate need and only a “down the road” interest, are you invited to a 10 minutes exploratory conversation? Call today, and we can decide together if we can help. a division of Benko Products, Inc.